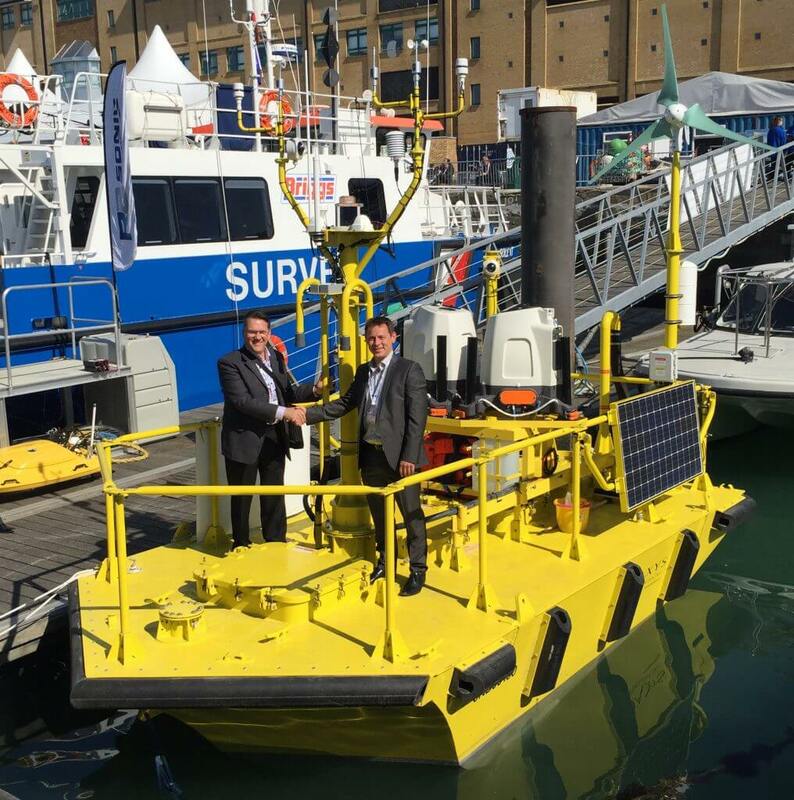 BC, Canada— 21 April 2015— AXYS Technologies Inc. (AXYS) has achieved a world-first that is likely to become the new standard in floating lidar devices by deploying a dual ZephIR 300 arrangement on the leading WindSentinel buoy. The WindSentinel ‘floating laboratory’ delivers a customized full suite of meteorological and metocean data, in addition to the wind speed & direction data used for resource assessment, to better inform the development of offshore wind farms. The AXYS WindSentinel combines the well-proven NOMAD buoy designed to perform in harsh marine weather and the ZephIR 300 continuous wave (CW) wind lidar with more than 200 individual IEC compliant performance validations. The AXYS design philosophy for reducing risk associated with met data acquisition provides dual or even triple redundancy on all major components. Further, the inclusion of two wind lidars allows for staggered servicing of the wind measurement sensors to permit continuous data capture during the campaign. ZephIR 300, a continuous wave (CW) wind lidar provides high resolution measurements at an unmatched data rate of 50Hz. Every second, 50 points are measured in the free space targeted by the sensor, and chosen by the user, anywhere from 10 metres (33 feet) up to 200 metres (656 feet). This type of CW wind lidar gives very accurate measurements of the wind speed, direction and other characteristics including Turbulence Intensity (TI). ZephIR 300 is also the single most validated wind lidar at a consistent IEC compliant met mast site.